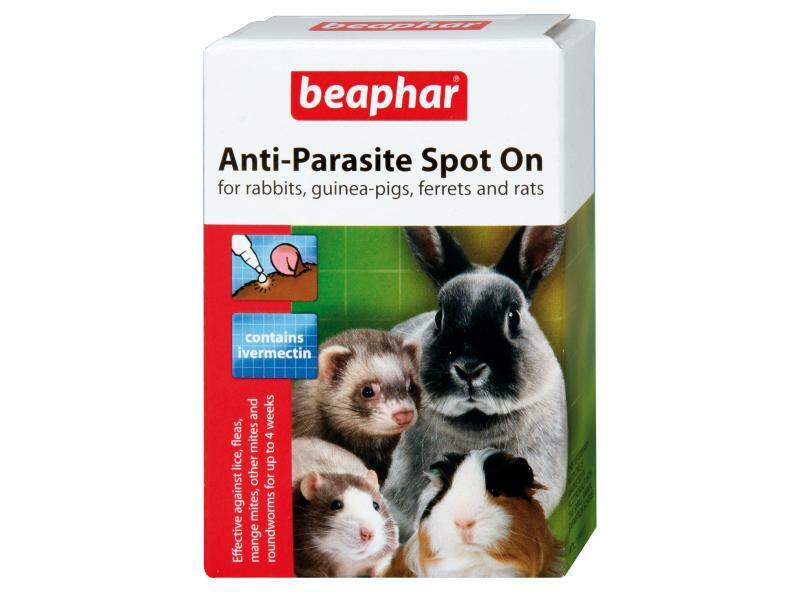 Beaphar Anti-Parasite Spot On is a convenient veterinary medicine which contains ivermectin in ready to use pipettes. Helps to clear your golden hamster or gerbil of such external parasites as fleas, lice, mites and ticks, as well as internal parasites like roundworms. Apply one pipette per 50g bodyweight. This equates to one pipette per gerbil, or two pipettes per Golden (Syrian) hamster. Twist off the cap and apply the entire contents of the pipette(s) to the back of the neck. While squeezing out the contents, spread the solution over as great a surface of the skin as possible. For animal treatment only. 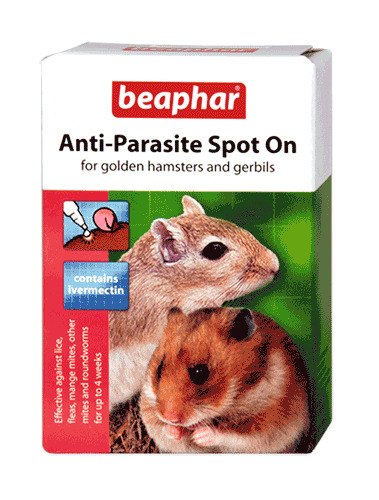 For use only on Golden (Syrian hamsters), gerbils and mice weighing more than 50g. Also suitable for rats or guinea pigs weighing less than 300g. Do not use on animals weighing less than 50 g. Russian and dwarf hamsters and mice may weigh less than this and should not be treated with this product. Do not use on other species of animals. 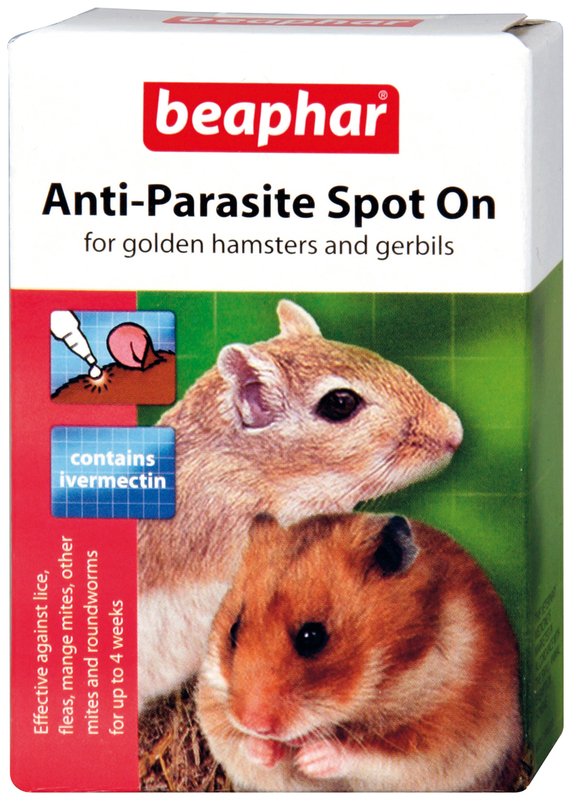 Animals weighing less than 300g should be treated using Anti- Parasite Spot On for hamsters and gerbils. Twist off the cap and apply the entire contents of pipette(s) to the back of the neck. While squeezing out the contents, spread the solution over as great a surface of the skin as possible. For animal treatment only. 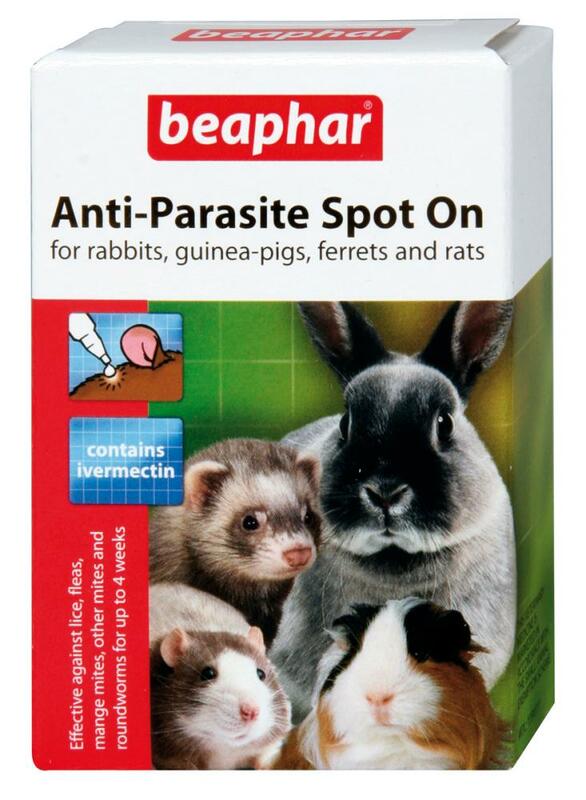 For use only on rabbits, guinea-pigs, ferrets and rats weighing 300g or more. Not to be used on rabbits intended for human consumption. Do not use on other species of animals. Below are some recent questions we've received regarding Beaphar Anti-Parasite Spot On, including answers from our team. What type of worms does this treat? Does it just treat roundworms or does it also kill other types? It is effective against lice, fleas, mange mites, other mites and roundworms for up to 4 weeks. It will not treat other types of worms.